A Skill That Could Save Your Dog’s Life: Leave It! This is a “Leave It” at its best! He did love fries! In my humble opinion, the “Leave It” command is one of the most important things you can teach your dog! 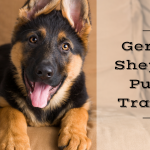 There are just some commands that may someday be invaluable in saving your dog’s life. Coming when called and leaving things on command could potentially be lifesaving. Imagine you are standing in the kitchen getting your morning prescription medications together for the day, when you drop a couple of pills. What happens if your dog is typically a “Hoover” (floor vacuum-er)? Most human medications can be fatal for your pet. Even Tylenol is lethal for dogs and cats. That moment of panic when pills spill on the floor can be lessened if you teach your dog the “Leave It” command. When I was training Service Dogs with an organization in Denver, CO I was told “Leave It” meant; do not touch, eat, or even look at the object and that definition has stuck with me. I think some people think it’s okay to at least look at a “Leave It” object but I think that can add difficulty to an already difficult proposal. A “Leave It” means to completely ignore whatever the item or distraction is from a pill or a hot dog dropped on the floor, to a skateboarder flying past; Leave It means LEAVE IT! So How Do You Teach “Leave It”? Go and get your dog and put him on a leash and take him to a secluded private place that you can train together. This command needs your full attention at first while he is learning! I like to use a 2 pocket tool belt (just the cheap canvas kind) for this training. I put my GREAT treats in one side and my mediocre treats or dog food in the other. Utilizing this tool makes it easier for me to access the right treat for the right response. 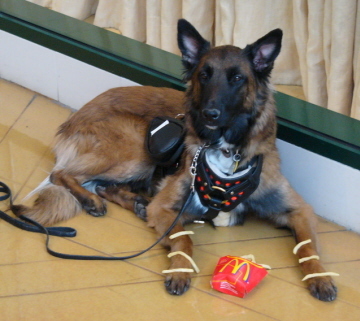 Keep the leash tight as you take a couple of mediocre treats out and place them on the floor out of your dog’s reach. Make sure he sees you put the treats down and restrict his access to the treats. 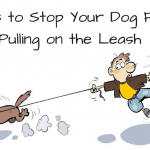 Do not pop on the leash or correct him, let him strain for the treats but tell him “Leave It”. Ready your clicker! At first he should look at and strain himself toward the treat, but soon he will get frustrated that he cannot reach them and he will turn and look away from the treats and toward you because he is discouraged. At that moment when he turns and looks away from the treats click and reward him with the GREAT treat! If he continues to look at you, you can again praise and give a mediocre reward. Now touch the mediocre treats that are on the floor again or pick them up and put them down again, to get him interested in them once again. As he looks at them, tell him “Leave It” and wait until he ignores them and looks toward you; click and jackpot him for a correct response. Continue playing this game until he is hardly focused or not focused at all on the mediocre treats. 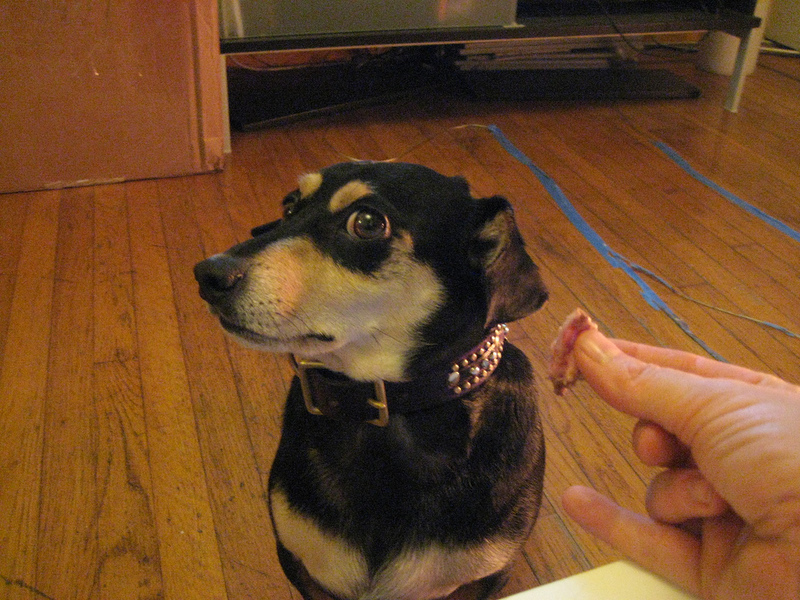 Once he has grasped the concept, you can move the mediocre treats closer to your dog. Click and jackpot for a good response and continue to try to deny him access to the treats. This may take several sessions and mastery of this command could take much longer, be patient! Move them closer and closer until he pays no attention at all. He should now realize the GREAT treats come from you, not the floor and that “Leave It” means he will get a better reward if he listens. Now, you may begin to use better and better treats as your “Leave It” distraction. Until he has completely given up trying to get the “Leave It” treat make the reward that comes from you better than the one you are using as a distraction. Now that he is completely ignoring the treats you put down, you can use the same treat. He should realize the best in life comes from you not from the floor, or anywhere else. Next tell him “Leave It” as you hold a treat in one hand. Click and reward with the opposite hand for a good response. He should be able to leave items you are eating or carrying as well as things on the floor. Now that this game is fun, you can employ the help of family members and friends by having them try to give him a treat but then telling him to “Leave It”. If he is really good, have them toss treats at him in an attempt to get him to make a mistake. This can help for those of you who are afraid your dog may be at risk from poisoning. Also proof this behavior by putting food on his feet or up his arms. He should be able to ignore any distraction at this point and he should be having a good time knowing that the reward from you will be greater than anything tossed to him or stacked on him! This should be fun! You are not scaring him from the distraction, you are simply teaching him that YOU are better than anything else. If you employ scare tactics you will likely end up with a dog that only listens while you are right next to him. If however he thinks this is a game and you might be right around the corner with a game or a wonderful treat, he is much more likely to be successful! Now go have some fun with your dog! This is a great party trick, and essential for safety! This is great. Wish I could afford your complete training video. I have a 5 year old female rottie who has become very aggressive with other dogs. she is otherwise extremely well behaved…loves people, etc. The aggressiveness is so much that I have trouble controlling her. She needs to slowly be desensitized to other dogs from a comfortable distance and you need to work on obedience so her focus is on you. I will write an article. My first dog as a dog aggressive Rottweiler, and that is why I am a dog trainer! My puppy looks just like the dog in the picture. She is 5 months old she retrieves but does not let go she does not respond well when calling. I am going to begin the “leave it” training. I would add a third command to the group of commands every dog should know. That is a reliable sit which can be done at a distance. 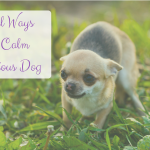 There have been times when calling my dog to me would actually send him into danger or cause a danger to focus on his movement. In that case I want him to sit/stand/down/drop/whatever as long as he does not move. My personal training experience is that a long distance sit is easier to get from an excited novice dog than a reliable stand stay or a submissive drop. An example of when this has come in handy was when we were hiking with the dogs legally off lead. I stopped to read a sign detailing the plants we were passing. My dogs were several feet away. When they saw I stopped, they began heading back to me. About that same time I noticed a beautifully coiled timber rattler in their path. Come would have made it worse, even a leave it would not have worked since they did not know it was there, but a reliable wait worked. They waited while I walked the long way around to where they were. We were then able to continue our hike without issue. I have used all your intructions, for many ‘commands’, some with great results, some not (but that was probably my fault, not the dogs). I love this blog, since I can always get info from others,and how the instructions worked for them. I’m 67 yrs old, have always had dogs, done obedience training with all. Some don’t graduate with high marks, some do. 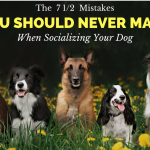 These tips really help me, since I rescue all my dogs (young and old, and some fostered), but some are more challenging than others because of their many past situations. I agree that the “leave it” command is probably the most important command after “name”, come. 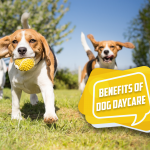 It has been so useful to me to keep my dogs out of dead animals, poop, and other unknown items–both in the house and on walks. I have two greyhounds who were trained to that command, and behave to it. Thanks I shall start training today. It sounds like an excellent method. My neighbour has very annoying dogs,and they always challenge my Rottweiler, (Bruce), violent “through the fence” fights, but i only need to say “Bruce. LEAVE IT, then he immediately leaves the fence and comoes to me. Yes this is a very important command. Icompletely agree with you – my neighbours dog’s do the same thing – as soon as he lets them out, they come running to my fence barking away and annoying my dog but as soon as I say (Bear) leave it, he sits down quietly and that’s the end of that from our end but the neighbour’s dogs just keep going on and on and on – and to think these neighbours complain about my dog barking!! 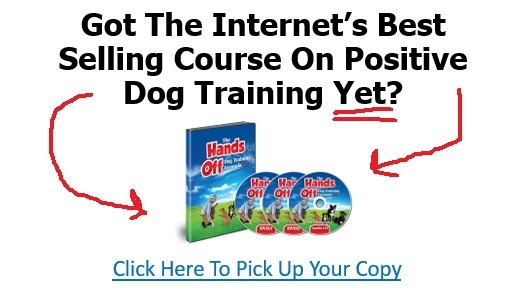 I am intrigued by Susan’s comment How do you teach a dog a long distance sit? 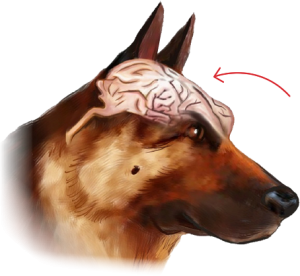 Start up close and also with hand signals slowly extend your distance as your dog is successful! I have a question about my dog. I think he has OCDs because he runs back and forth on my carpet and bites my carpet and is tearing it. He also goes crazy when he sees any kind of reflections. Is there anything that I can do to het him to stop!!!! Especially the carpet biting. I would appreciate any suggestions. He might be chasing shadows or light for now when you are not around try keeping the blinds shut. He need serious exercise physically and mentally and if it doesn’t get better you may need to seek help from your vet for medication. 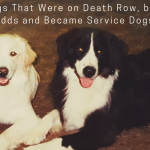 I have seen and worked with OCD dogs that chase shadows and light and sometimes they need both medication and behavior modification and time in the crate when you are gone! for Max it did just the opposite for that day and the remainder of his life. as being well worth it for all dog owners. I am going to try to use this excercise with my 8 month old dog, Annie. She likes to eat paper and is a floor grazer. Last week,while I was sitting in the kitchen reading the paper, I looked up and saw that she had something in her mouth and realized she was chewing on a bottle of Aleve pain medication that she picked off the counter. All of this took place in a matter of minutes and since the bottle was old, I had no idea how many she may have ingested, although I knew she had definitely eaten at least one if not more. I called my Vet who asked if I had any Hydrogen Peroxide in the house and thankfully, I did. Based on my dogs weight, I was told to give her a tblsp of it and wait 15 minutes to see if she vomited. If not, I was told to give her another dose and wait for the intended reaction (which is what worked for my dog) then call the Vet back. I was then told to bring her immediately to the office, where she was given a charcoal treatment and as a precaution a prescription of more charcoal tablets to be given 3 times a day until finished. This would soak up any excess medication in her tummy. 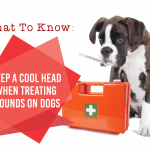 NSAIDS can cause ulcers and other problems in dogs. I remember keeping a bottle of syrup of ipecac on hand when my children were young for the same reason, to induce vomiting in case of accidental ingestion. Hydrogen Peroxide is cheap and most people already have it on hand in their medicine cabinets. 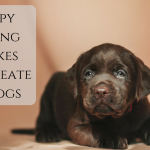 I am not sure if this advice would have made any difference in what happened to your dog, as the medicine might have already hit the blood stream immediately, but it may help if any pet gets into something he should not have eaten in the future. Of course, first action is to call Vet. Leave it is one of the most important lessons to teach your dog. It can go as far as saving his life! My 5lb poodle for some reason managed to learn the trick without us even having to teach it! All we would do is if we dropped something by mistake(food) and he came toward it, we would stamp our foot and say leave it! At that moment I guess it got through to him and it stuck with him throughout his years. Now I’ve worked on training him more, so the training tips are still very helpful. 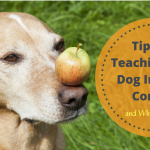 I have always incorporated leave it as one of the first commands I teach a new dog. It is helpful with meeting new animals, food, meds, alot of things! Thanks again for sharing. I do like your approach to this training. I also teach “wait” for situations like Brian mentioned, as well as not being ‘rushed’ through doorways, down steps, etc. Do you teach that command too? i think its good that all dogs should learn the leave it command becuase its not just medicine its also your food that your dog needs to learn not to touch. A friend of mine was eating a sandwich and there was a knock at the door so she put the food on the table and went to answer the door but when she came back the it had gone. This was great! I have just started getting my dog Champ to leave it. I have never used a clicker but I beleive I will buy one. It should work for him because he loves his treats! The leave it command is a life saver. We must have said it a million times while our dog was a pup and it was worth it. She has never destroyed a thing around the home (inside or outside). She will not chew on anything other than her designated chew toys. She knows too because if she gets the urge to chew or bite on something you see her actively seek out something she can put in her mouth. thank you very much! keep up the GOOD work real dog lovers teach others to work with there dogs as well, god bless you! Great post! I appreciate the detailed how-to instructions. @ Elaine and Shaggy: Apologies… unfortuantly, it’s MY two dogs that fence fight with a neighbor! It’s both awful and, so far, uncontrollable. Suggestions, Minette? When you see the other dogs outside put your dog on a leash (train separately at first so you have control) and then take them out and train them. Teach them what your expectations are when they are outside. This will take lots of repetition and when they do fence fight bring them in immediately! I never taught my mutt (90#) to “leave it” but a stern “NO” is all I need when anything is dropped on the floor. If he is standing hopefully over whatever it might be, I tell him to “step back”. This has proved a very handy command which he learned very naturally by having me step forward slowly and repeating the command when he was exitedly in my face about his need to go out. When he is in a closed room and the in-opening door is being blocked by him in his desire to be let out of it “step back” tells him out, without being hit in the face by the door, is what he gets. Hi Chet: 2 years ago we rescued a 4 yr old toy poodle. This poor dog was treated badly, especially by a man. She was scared to death of my husband! We have always had dogs, always puppies that were easy to train. CoCo had never been trained, or loved, just abused. She does’nt know how to play, (really sad) she is however “attached to my hip”. A year ago I had emergency surgery and she finally bonded with my husband. She cries and carries on when I leave the house and when we both leave and then return, howls and cries when we pull into the driveway, sounds like she’s getting killed. We are both elderly (82 and 77) not very active. I bought your Training Course and so far I’ve gotten her to the mat a few times. Her biggest problem was peeing and pooping on my carpeting. So far we concurred the peeing but still once in a while we find a “present” she has left for us. Honestly, Chet, are we just too old to manage your course? I know repetition instills their learning but I can’t seen to keep her interest. Any suggestions, please? I taught my dog (chi mix) the leave it command but encountered 2 problems. The first was that if the thing in her mouth is tastier or more interesting than the treats I have, she won’t leave it. The second problem is that she now knows I give her a treat for leaving something so she will constantly look for and pick up things just so I’ll tell her to leave it and then give her a treat when she drops it. Most of our walks are spent with her head down sniffing the ground for anything to eat. She is very smart and very food-obsessed. She is constantly, and I mean constantly, looking for things to eat. All the time, everywhere. Anything that stands out visually on the ground she has to go and sniff to see if it’s something to eat. I’m very scared she’ll eventually eat something that will make her very sick or even kill her. Does this sound like a form of dog OCD? Your problem is that you are letting her get things in her mouth. At your house leave it means, stick it in your mouth first… at my house leave it means don’t even look at it. My puppy is only 2 months old is she old enough to understand or should I wait till she gets older she is a shihtsu only 3 pounds won’t even register on my scale. What is your recommendation. Yes, she is old enough to begin learning impulse control and basic commands.